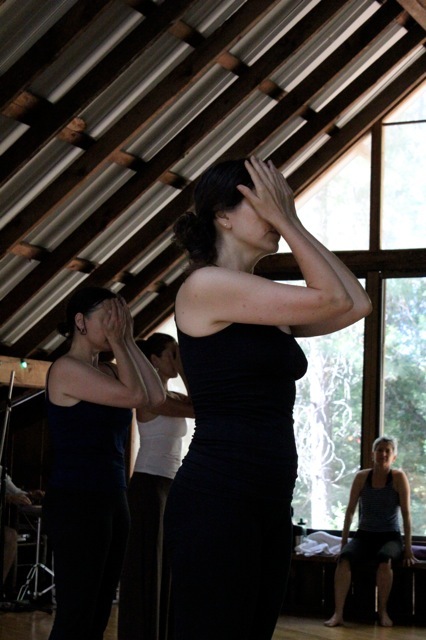 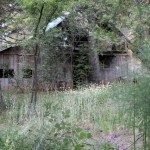 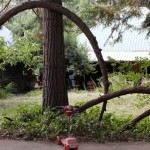 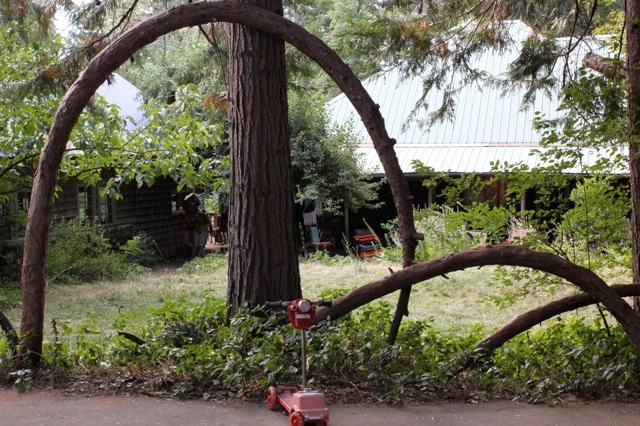 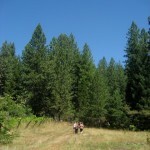 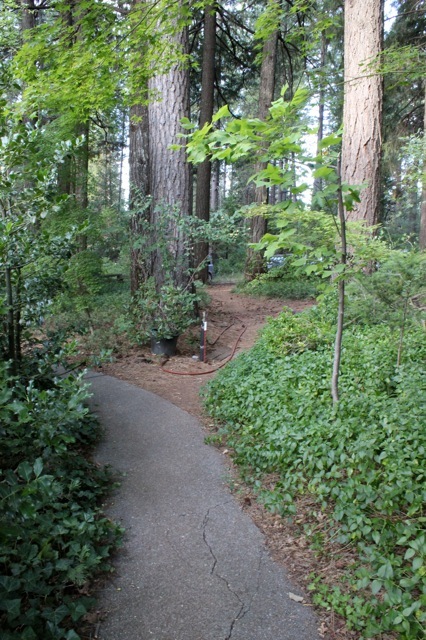 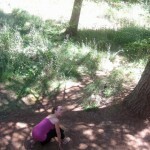 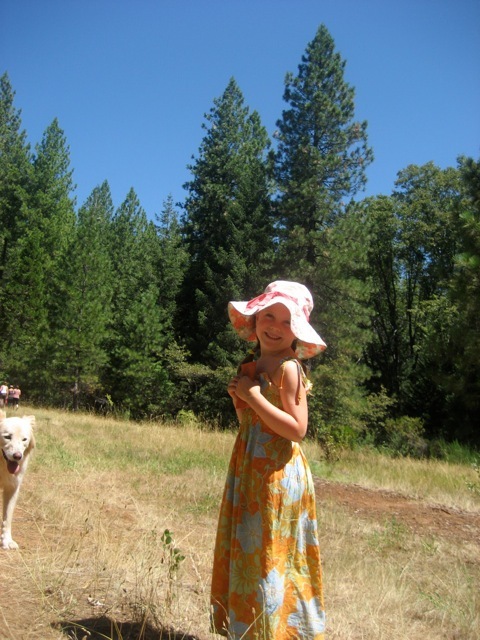 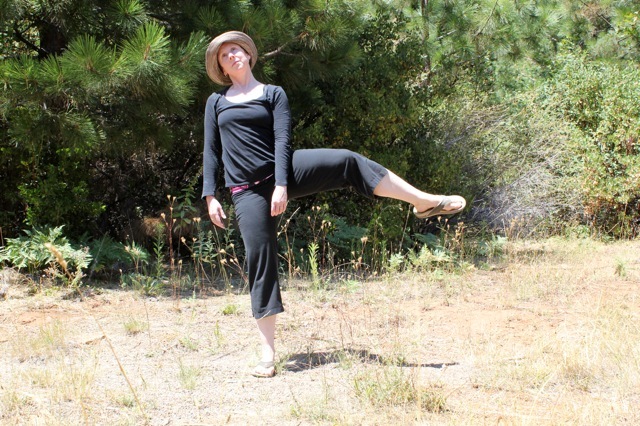 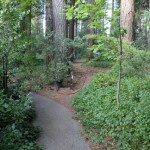 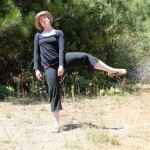 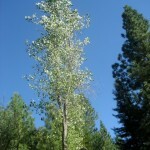 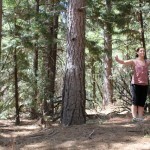 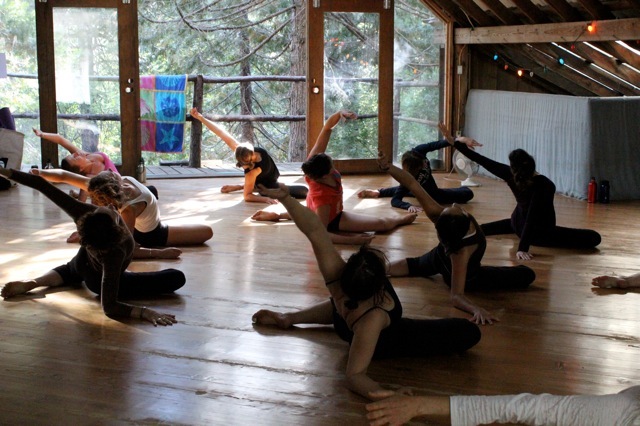 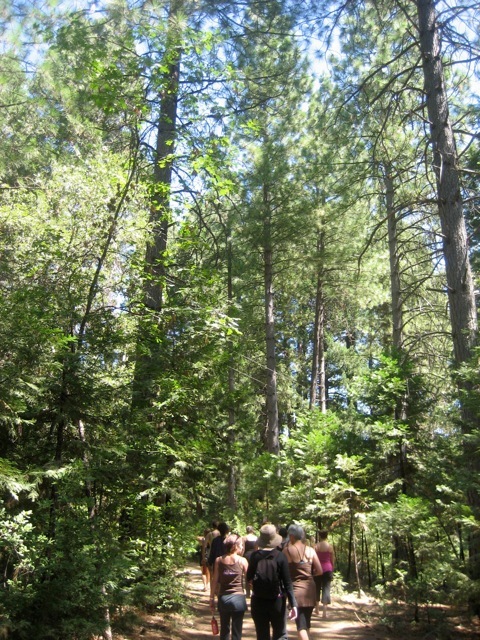 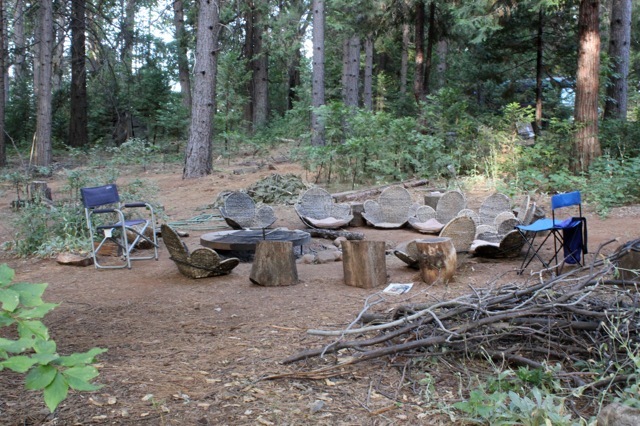 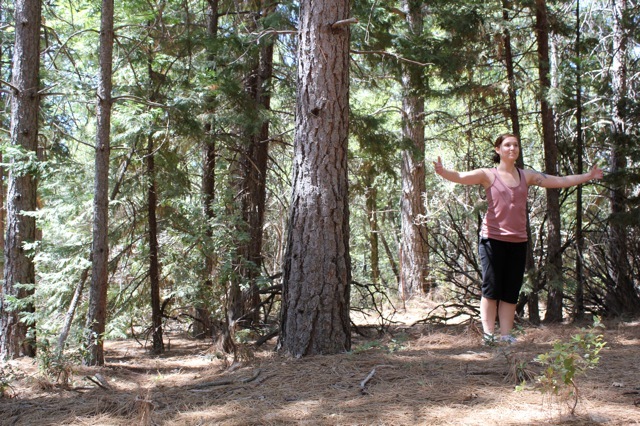 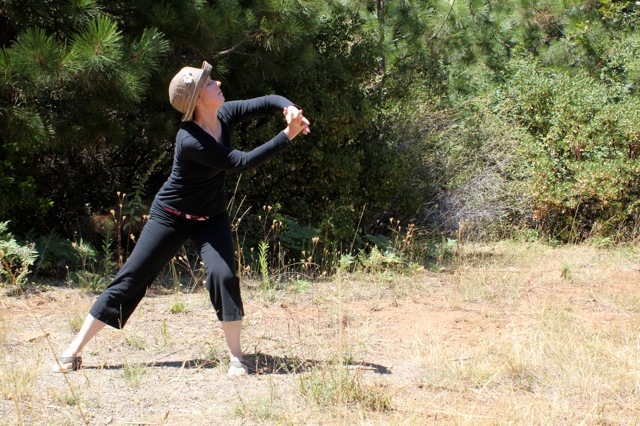 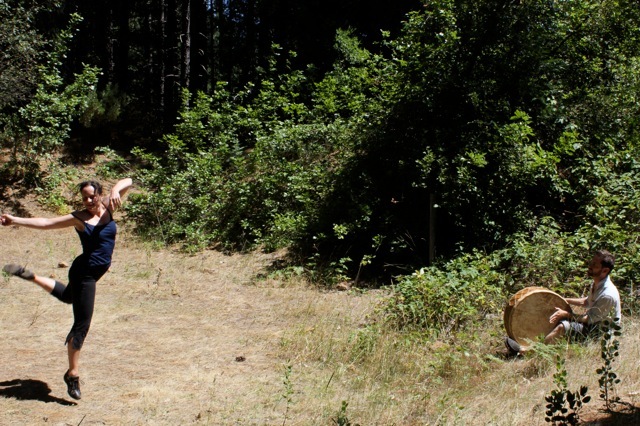 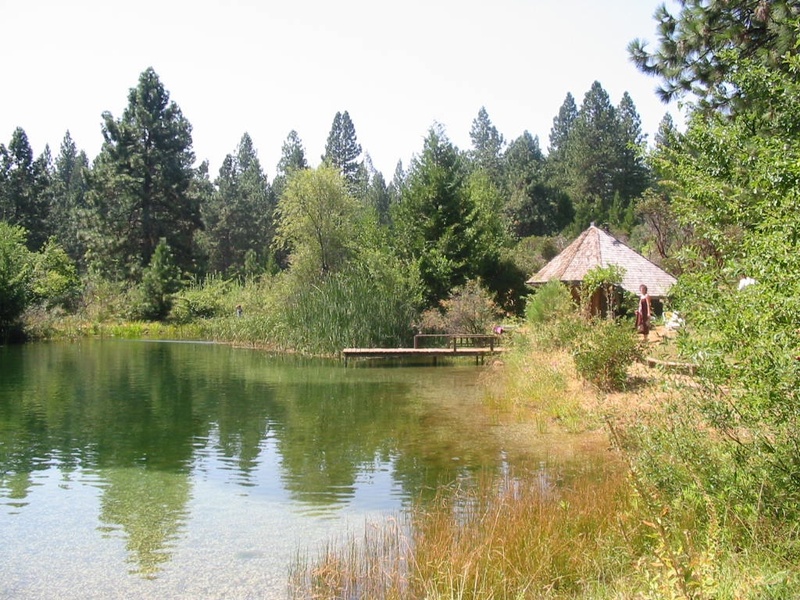 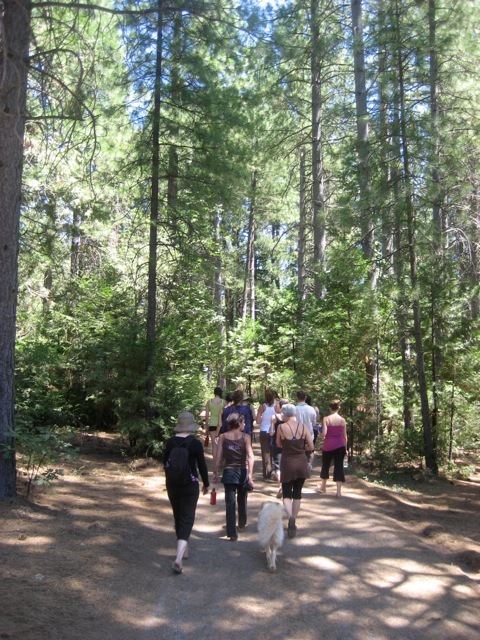 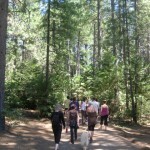 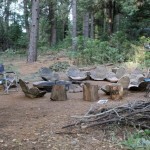 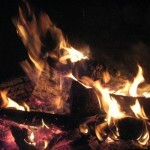 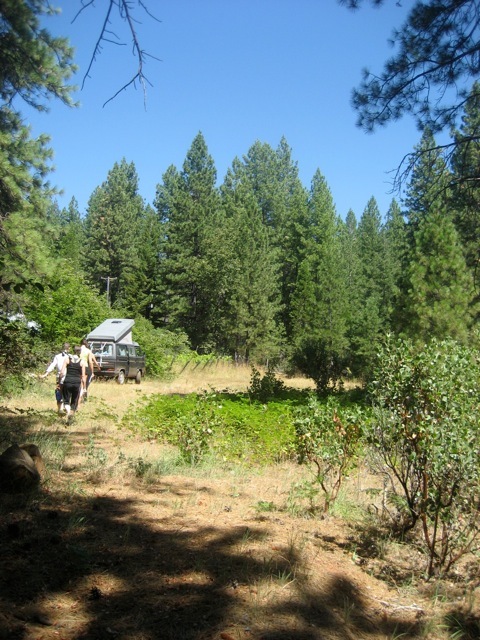 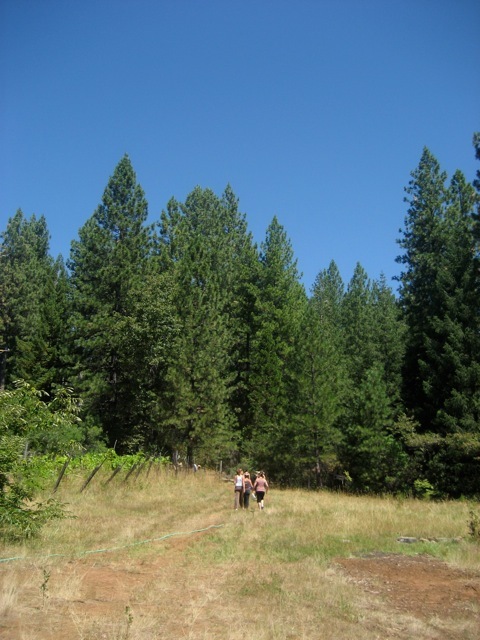 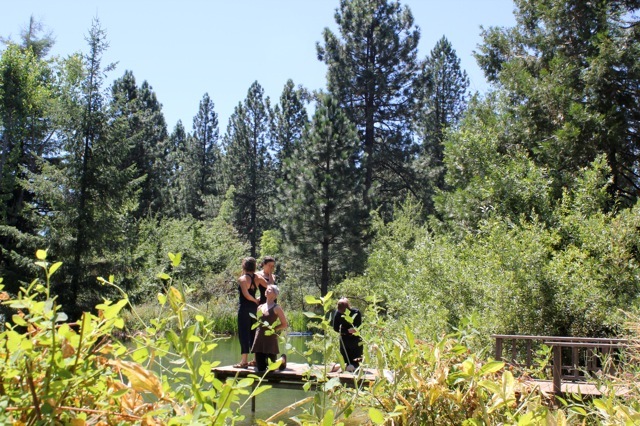 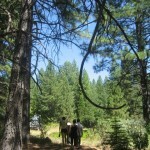 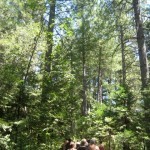 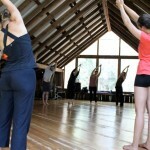 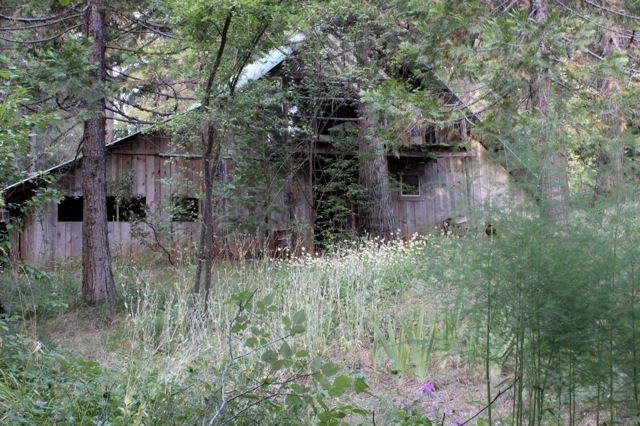 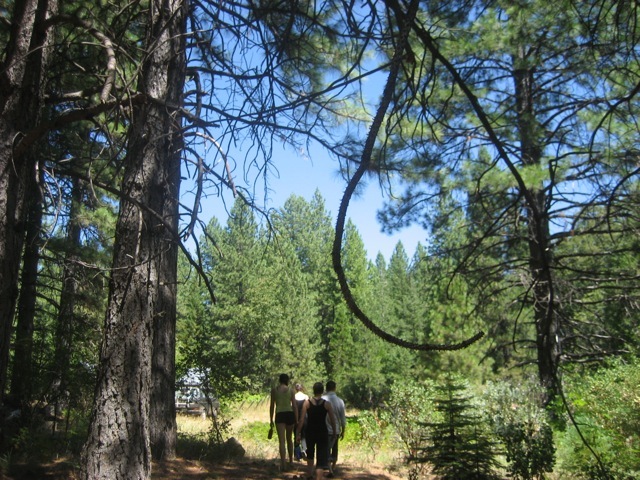 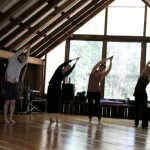 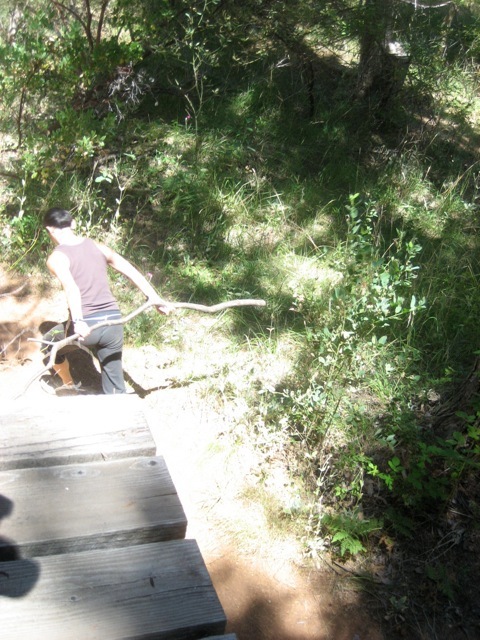 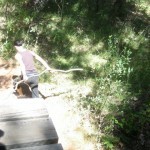 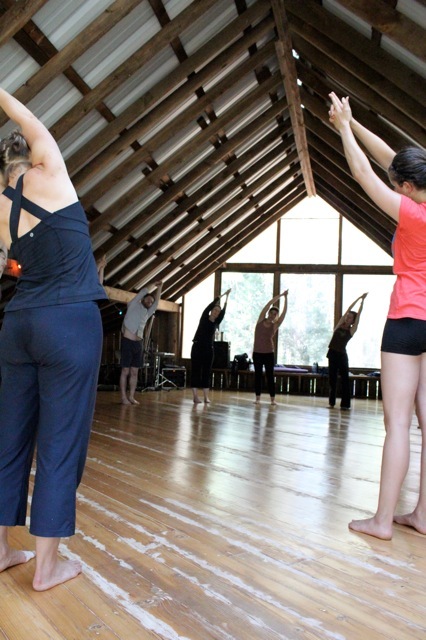 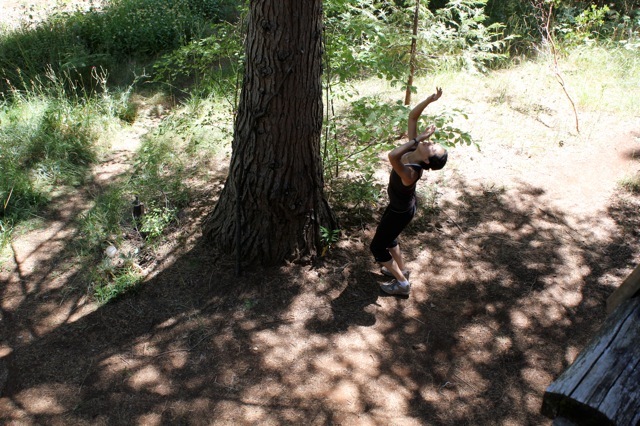 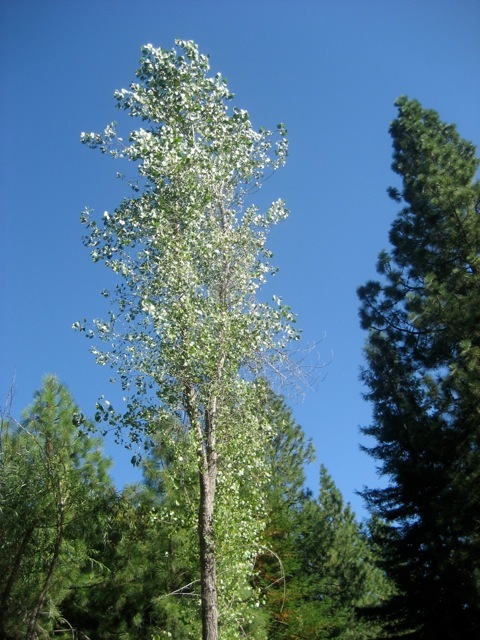 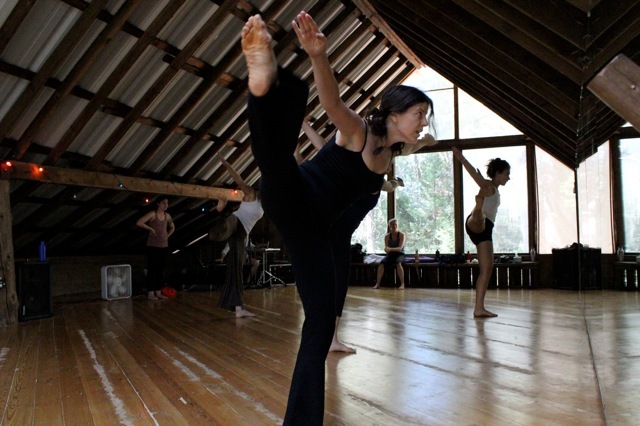 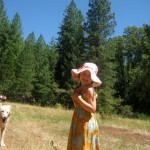 Enchanted Ridge Dance Retreat takes place each summer in the mountains of northern California. 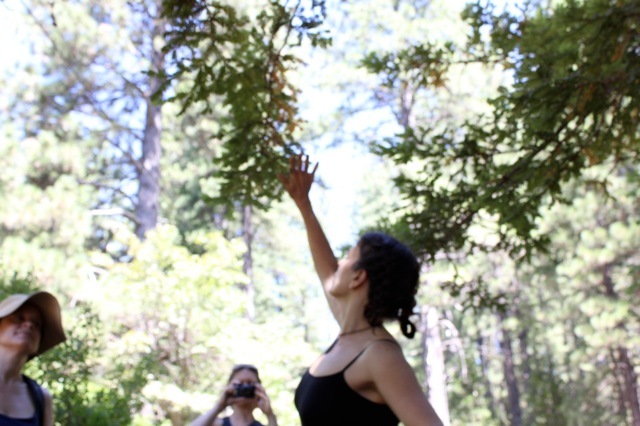 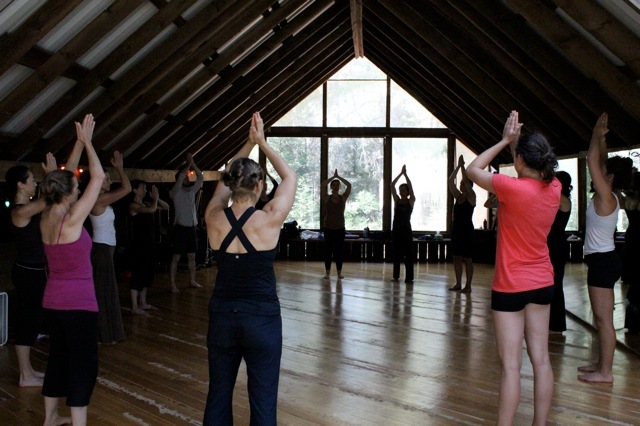 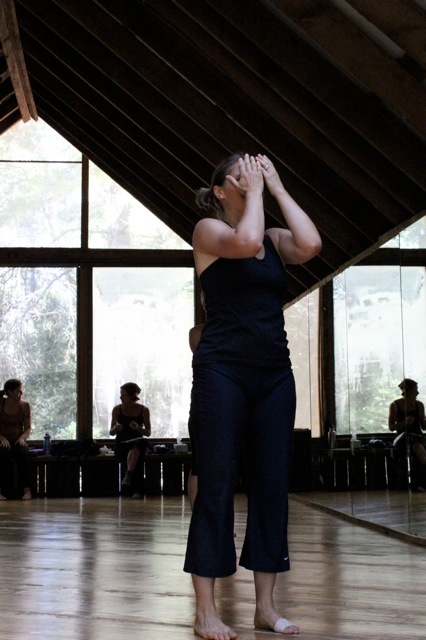 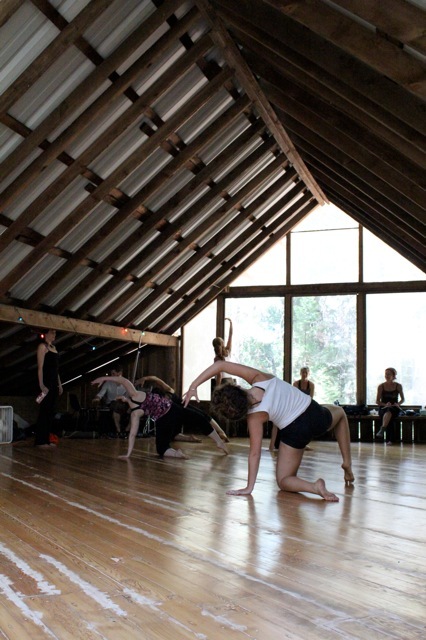 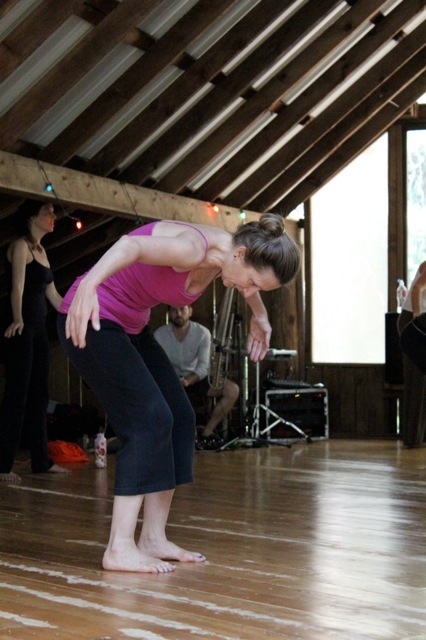 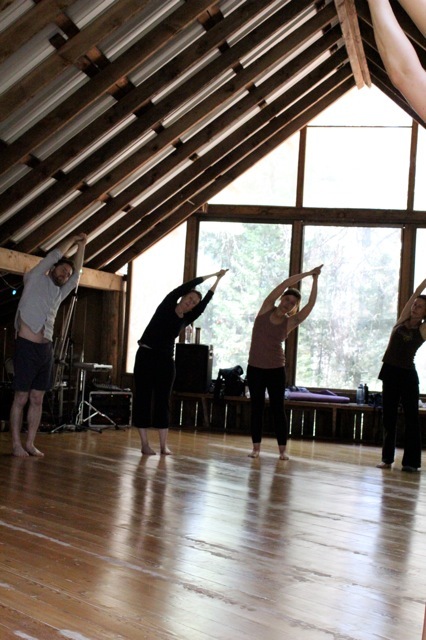 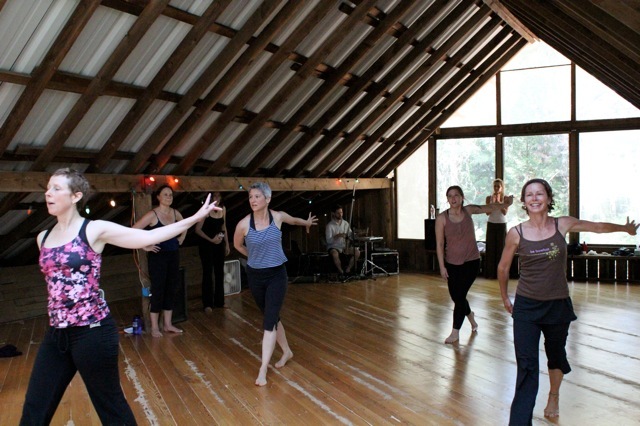 Founded in 1998 by Jessica Adams, and co-taught with Dana Lawton, the Retreat brings dancers and nature together. 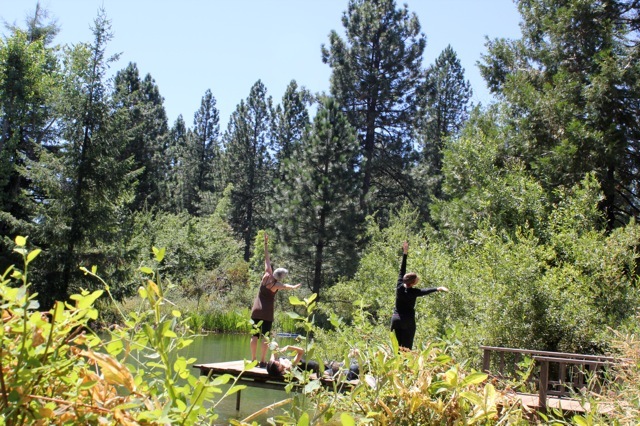 Participants take an extraordinary five-day journey as they relax into nature, strengthen their modern dance technique, experience somatic arts (Pilates, Yoga, Pranayama breathing, Yamuna® Body Rolling), and delve deeply into their own choreographic process. 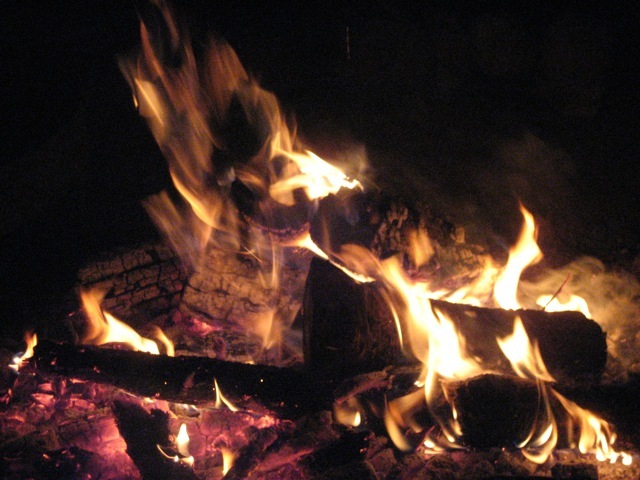 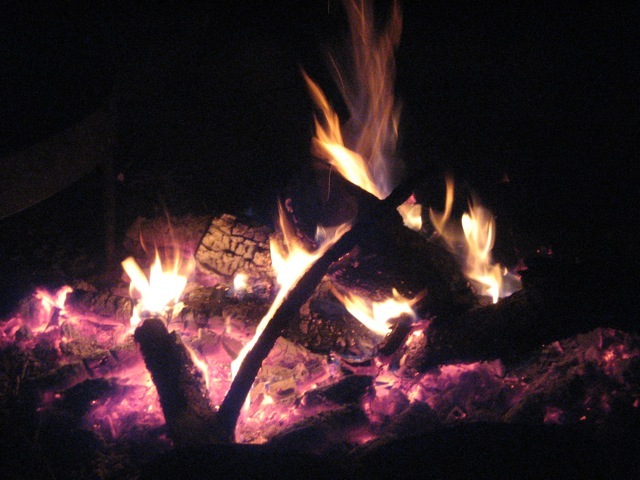 After a day of dancing, choose to get a massage, soothe your muscles in the wood-burning sauna, swim in the refreshing pond, or simply enjoy the glow of the bonfire. 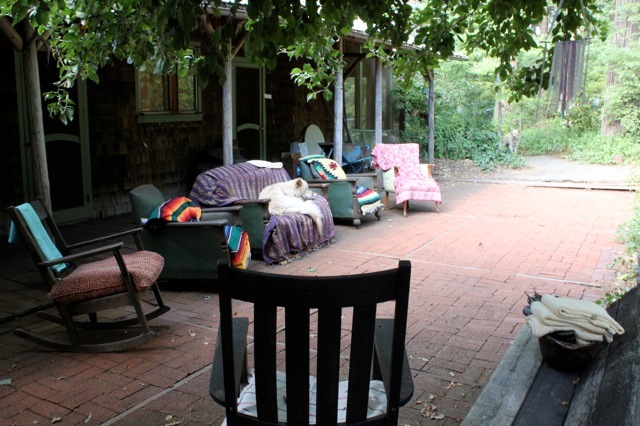 Delicious, organic meals (breakfast, lunch, and dinner) are provided and allow time to socialize, relax and foster a deeper sense of community. 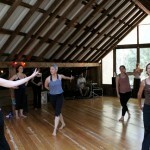 Dancers are encouraged to camp on the land (bringing your own camping gear). 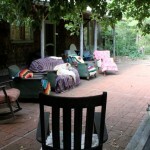 There is a limited amount of sleeping space in the communal house on a first come first serve basis. 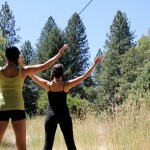 You can notify us on the registration form your preference. 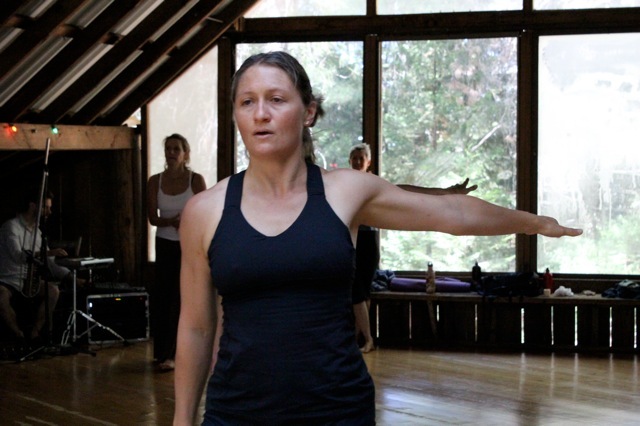 There is a massage therapist on site. 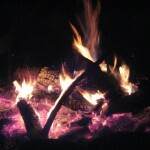 You may sign up on the registration form. 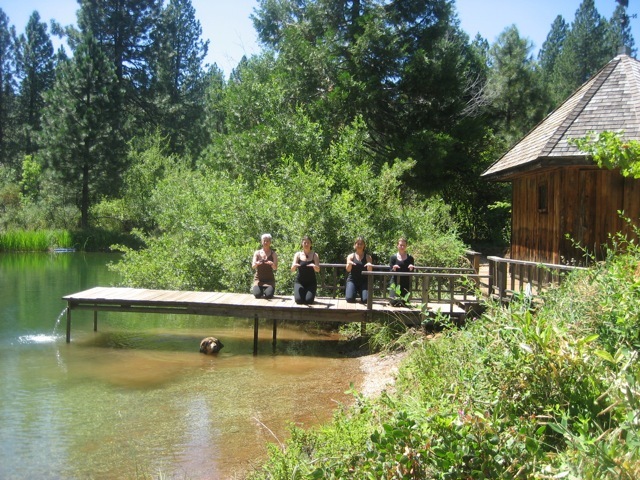 Additional payment is due at the retreat. 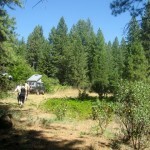 Contact Jessica if you would like more information. 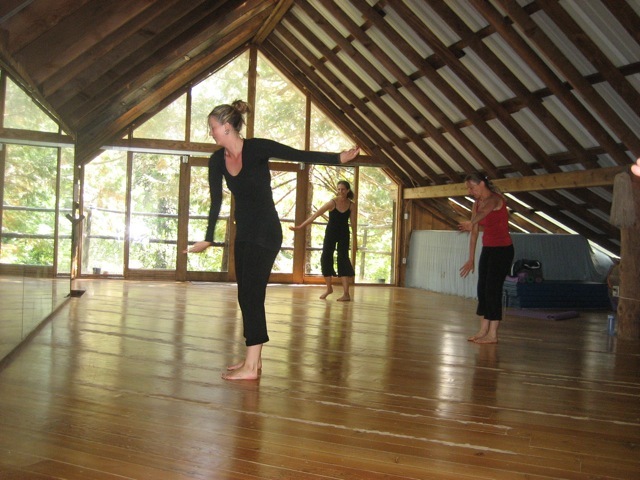 Dance: We teach modern dance with a strong emphasis on full-bodied movement, musicality, and rhythm. 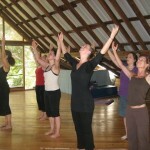 Each class is accompanied with live music and focuses on body alignment, qualities of energy and the joy of dancing. 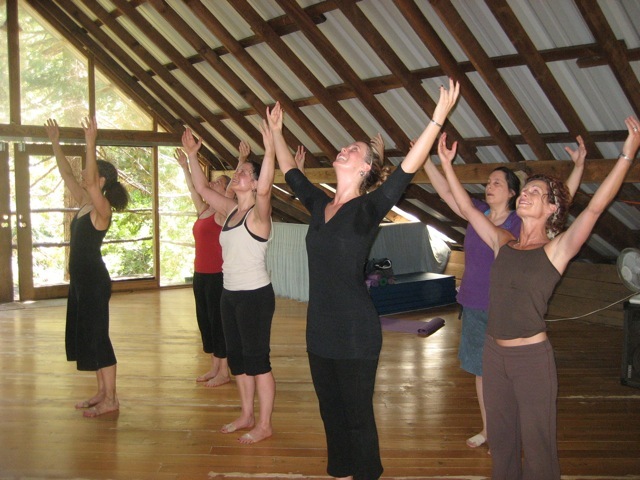 Yoga: This Hatha-based asana class supports the dancing body. 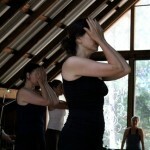 You will learn to deepen your awareness of breathing, alignment and connection to body, mind and spirit. 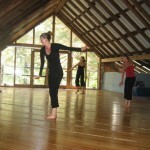 Pilates: This class will emphasize proper form, alignment and injury prevention. 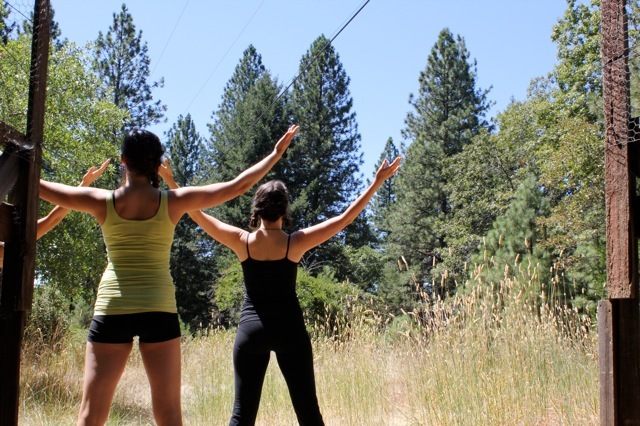 We’ll focus on strengthening the body’s core and maintaining optimal muscular balance throughout the body. 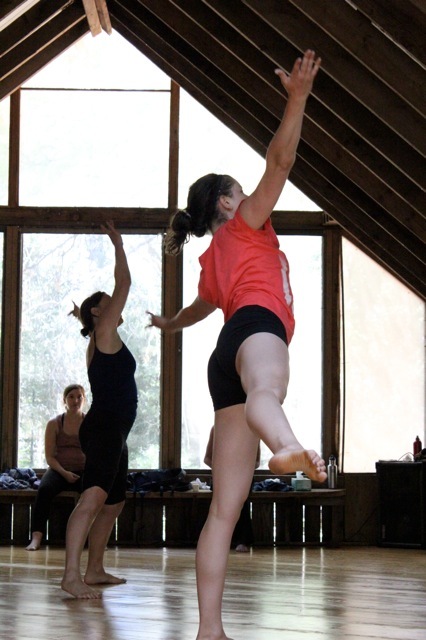 Using neutral spine placement throughout all exercises, you will develop core abdominal and back strength, improve the use of breath, increase spinal flexibility, build upper body strength and reduce the body’s stress. 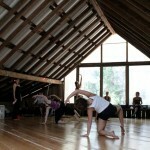 Choreography: Designed for dancers of all levels, this class uses choreographic tools to support the creative process. 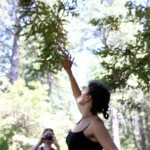 We will explore the elements of nature as a means for inspiration and creativity.